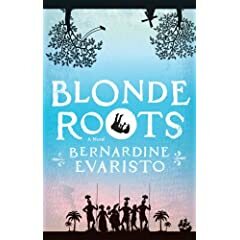 Just a reminder that Blonde Roots by Bernardine Evaristo goes on sale today. Make you stop by your local bookstore and take a peak at this fantastic read! Books being released this week. This list is compiled from Publisher’s Weekly, Barnes and Nobel and Border’s. I’ve linked certain books to reviews by the fabulous readers on my blogroll who had a chance to read an advanced copy of the title.